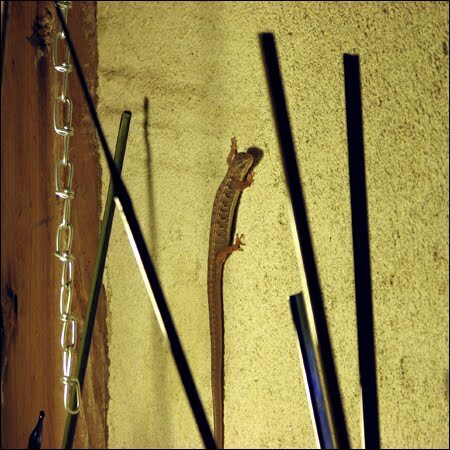 No lizard yet, but he's a coming! 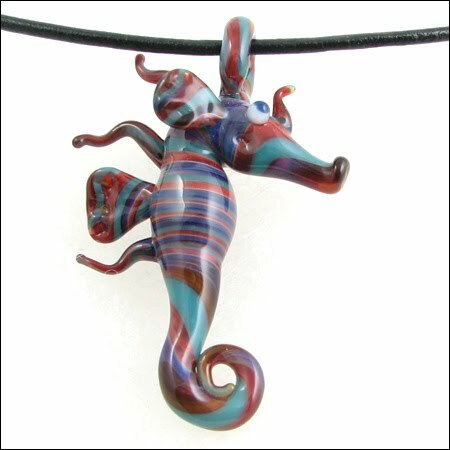 In the meantime, here's a new seahorse from my studio featuring a red, teal, and purple blend. Hope your weekend is as relaxing as mine: I finally have a day off, woohoo! 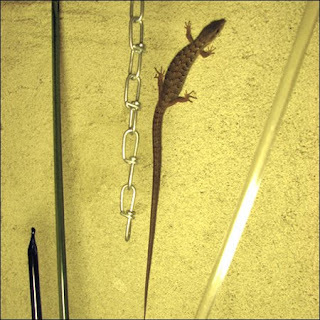 A Visitor in the Studio: Fresh Inspiration! 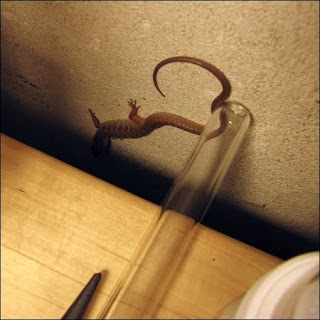 Our studio is a delightful place for Paul and I, and now for lizards! 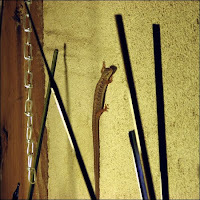 Just kidding, though we did just have a visitor briefly adorn the wall behind Paul's torch. I really like his tail, and hope that he keeps it safe from the neighborhood cats. 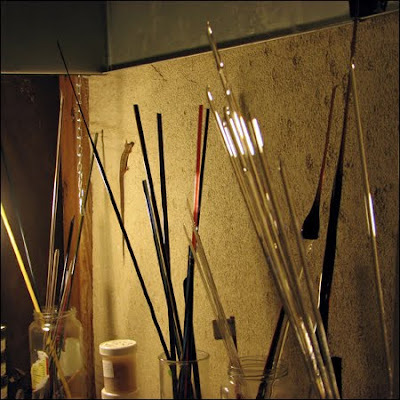 Here's a final shot of my messy bench's many jars of glass rods around Mr. Lizard. Hope we'll have more visitors, because this was fun and refreshing! It's that time of year again folks: Beach weather, picnic time, blue skies and nice days that you can spend outside enjoying the quiet beauty of nature. It's a great time of year, and the mornings especially lend themselves well to outdoor exploration and tourism. Make sure you soak up some sun, but don't forget the sunblock. 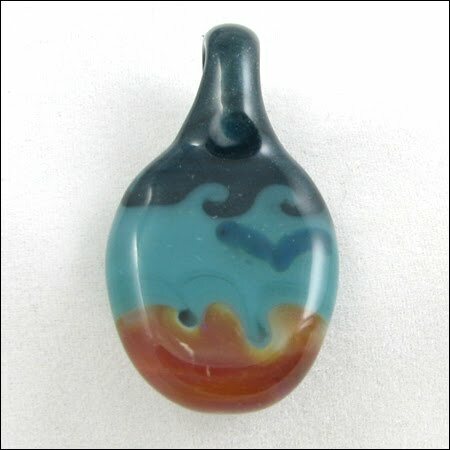 Here's a final goodbye to my beach scene pendant I've had on display for a while that was purchased this past weekend, and went to a good home as a gift. 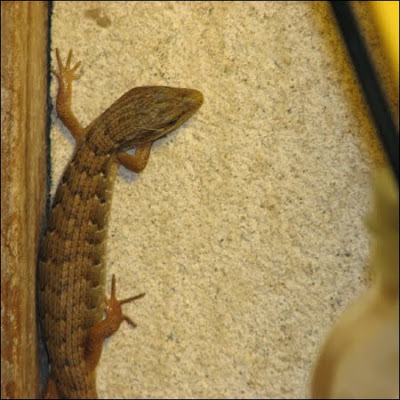 They have long legs for their size, and the eyes are not recessed or blended in with the skull like some other breeds. His little ears must stand up and his tail is docked, though personally I would be a softie if given the choice for my poochie and let him keep his natural traits, though I don't think you often have a choice, especially if you rescue one. It's really amazing how many breeds of dogs there are, and this led us on a journey to discover a bit about pinschers, mini ones, dobermans (named after a tax collected that began the breed! ), great danes (though sometimes these get mistaken for ponies), and shepherds, of course. It did make me inspired to adopt a dog, but the cats put that thought back out of my mind, as this is their home and that would be an intrusion of their freedom. Dogs are hard to resist though, as such sweet animals you just want to adopt them all... Well, at least I can donate more pieces to the animal fundraisers, with mine successfully sold at the silent auction last month. Now that I know I can make dogs, I guess these would be the best pieces to donate to the shelters, right? 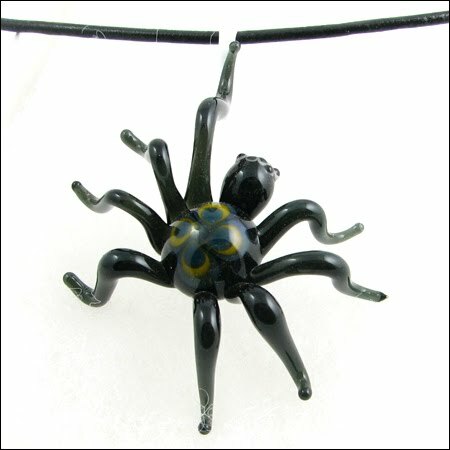 As Promised -- Black Octopus and Mermaid Pendants! 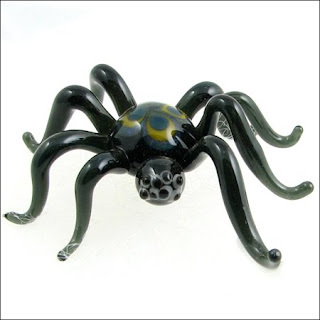 He's full of tentacled-fury, with blue and black eyes. Adorable, yet not overly-cutesy like some of our sweeter-looking tentacled friends. 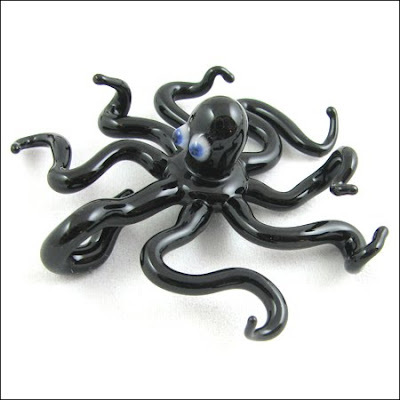 Feast your eyes upon him now; our last black octopus was snatched up in a flash! More to come soon, as I'll try to post some awesome glass on here to keep it interesting. Have a great weekend! New Mermaid and Octopus Coming! 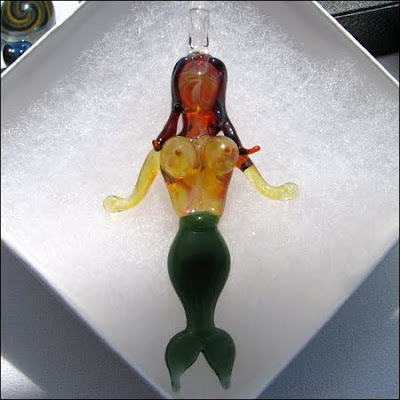 I made two and gave the customer her choice ~ I'll be back on later today with a photo of the second-best mermaid I've made :). 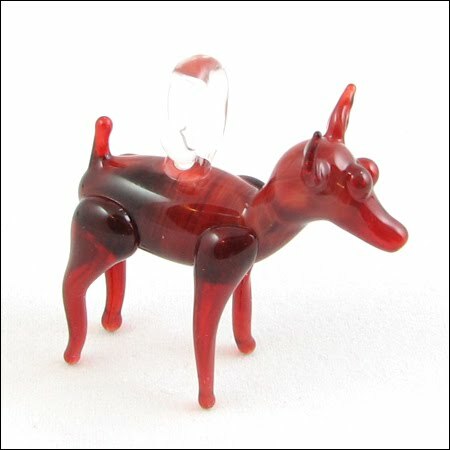 Yes it occurs to me that in a Glass Art (and other nature-related stuff) Blog, it is appropriate to occasionally put glass in here. I'm sorry, it's just hard for me to put it out here without feeling like I'm advertising to you. This blog should be interesting first and foremost, and I don't want to just force feed a bunch of shameless glass promos at you. In this wish, I have sort-of avoided putting glass on here for the better part of a year, so I guess it's high-time to pony up the glass goods, eh? Later today. Patience... Once it's too hot in the studio I'll come in and do my photo'ing and posting and whatnot. Always the whatnot. Cheers!